Well, in today’s fast-paced world, a lot of people struggle to keep on top of their email inboxes, so if you’re sending them ineffective emails, which they don’t want to read, then you could be doing more harm than good. It may sound obvious, but you need to ensure that the content you are sending is appropriate for your audience – if it’s not, then they’re not going to read it. Don’t just communicate for the sake of it. Like everything, if it’s worth doing, it’s worth doing well. Put your heart and soul into designing and writing your communications, as you’ll get a far better response rate for it. Make sure that all of your recipients have knowingly opted-in to receiving emails from you. Your emails need to be entertaining and have a purpose. Come on, it doesn’t look professional, does it! although you want some imagery to brighten up your email, you don’t want to overload it. Too many graphics can not only be confusing for the recipient, but also contribute to slower download times. Every email you send, needs its own landing page – a page that give more information, and more chances to close that sale. Don’t focus on selling your product or service. Instead, focus on providing the recipient with entertainment and information – something they can use, and something they will want to read or know about. Using imaginative ways to personalise the email can work miracles on the response rate. The reader will feel more valued, and more likely to contact you. Don’t send too many emails to your audience. Many people make the mistake of sending daily / weekly emails, only finding that they are quickly opted out of. Not measuring success – If you can’t track it, you can’t manage it. When you’re sending out an email campaign, ensure that you have mechanisms in place to track and measure success. 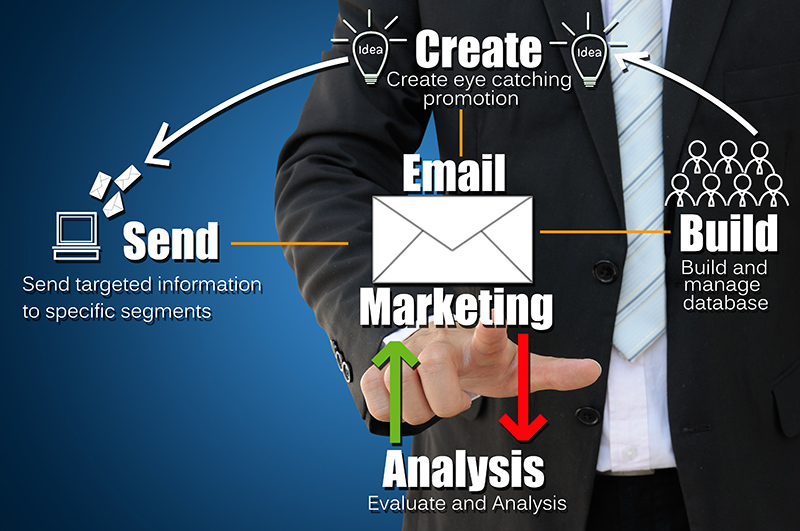 Fed of of thinking about when or what to do in your next email campaign! We offer fully managed email marketing, allowing you to carry on with the things you enjoy in your job. Previous PostIs SEO really that important?Next PostDo you really need to have a responsive website?